Clearly, OnePlus epitomizes the notion of a quick, grand success. A Chinese smartphone manufacturer, the genius of a kind, cruised to brilliance from the brink by clinging to a thought-process that isn’t ordinary. 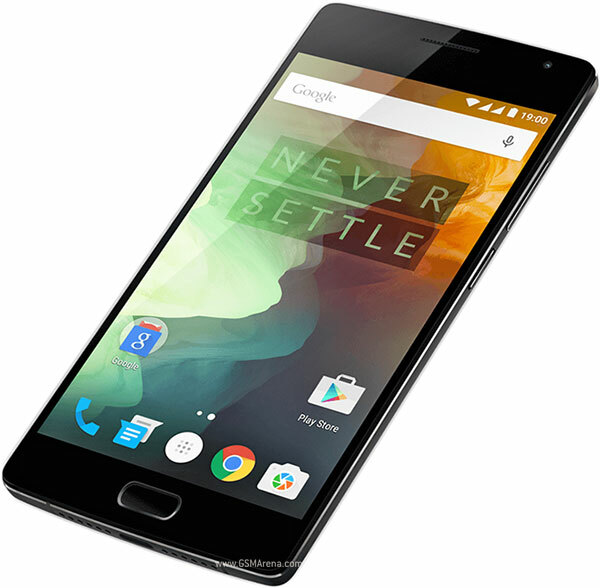 Adding gist to its eximious reputation comes a second flagship smartphone ‘OnePlus 2’, a development that has created a strong air of euphoria and a ripple in the technology world. But, is the smartphone worthy of such a buzz? This is a burning question. Here, we get a low-down on OnePlus 2 configuration, and learn which way it will steer the smartphone market. Browse down to absorb the information below. OnePlus 2, the second installment in the line, has been touted as the Nexus fill-in, being a rather irresistibly cheapest one. The company, OnePlus, has left no stone unturned to woo the global customers, and packed its latest marvel with a bundle of next-gen features, which has formed a gravitating hype around the brand. OnePlus 2 comes with a revolutionary Android Lollipop, Snapdragon 810, Fingerprint scanner, a wide screen and everything that will make you drool over it. Putting a lid to the long-stretched speculations and rumors, this new gadget is finally on the shelves. OnePlus 2 has overridden its predecessor in a dozen ways, as a resultant of which it appears to be the next big ‘Knockout’. OnePlus falls under the users’ favorite on account of its 64-bit Snapdragon 810 Processor, the fastest available in the present day, with an internal memory of 4 GB. We are sure that OnePlus 2 has a long way to go, thanks to its ultra-modern fingerprint scanner that can save up to 5 fingerprints. The company claims it to be superior to, and quicker than, Apple’s TouchID scanner. The users can launch it by tapping on the hardware button located below the screen. Expect no surprises from OnePlus 2 on display and resolution numbers. The minds behind the masterpiece have kept it identical to the previous version – a screen of 5.5 inch display, and 1080x1920p resolution. However, what’s outstanding is the supplement to the screen brightness. OnePlus 2 has an inbuilt display technology to ameliorate the sunlight legibility, and enhance the overall experience. When in the dark, the brightness peters out, and the display grows dim, so as to avoid eyestrain while accessing the smartphone. The next amazeball feature of OnePlus 2 is the new USB Type C connector, which would be of a standard nature of the entire repertoire of Android smartphones when Google unveils Android M. The Type C port is a powerful mechanism, capable of supporting the file transfers up to 10 Gbps. However, what comes as the dark side of a mirror is its non-compatibility with standard MicroUSB accessories. To bridge this loophole and lacuna, the company is selling a reversible cable. OnePlus 2 sports an innovative Alert Slider, a facility that allows users to silence the phone with a push. This has been the quintessential feature of Apple iPhones. It seems OnePlus 2 makers have put a major thrust on building exteriors that ooze elegance and exoticism. The single greatest reason for its spiralling popularity is the magnesium alloy frame that makes it classy and upmarket. However, OnePlus 2 is bulkier and thicker. The phone is available in four StyleSwap covers, such as bamboo, rosewood, kevlar and black apricot. If we talk more on its awesomeness, the smartphone flashes an excellent 13 MP rear camera, and several other features that make OnePlus 2 a perfect bet. A 1.3micron lens to let in more light whilst capturing. A six-element lens to reduce distortions of the images. A laser autofocus system, first by LG G4, for better focus. An optical image stabilizer to prevent the image from getting hazy due to shakes, bumps or any other disturbances. And, a 3,300 mAh battery with a strong stay-on power. OnePlus 2 is laden with smart OxygenOS, which, as told by the company, has features that other smartphones regrettably lack. While OnePlus One is a single-SIM handset, and probably that’s why it couldn’t keep up the pace with its rivals. However, there is no shaky ground for OnePlus 2 as it is a two-SIM phone. Any wait receives its fitting culmination if there is something excellent on the other side of the spectrum. Masses waited, waited for long, and what they have received is OnePlus 2, and their excitement knows no bounds. OnePlus 2 is all set to kick in the markets of India, EU, US, Canada and China on August 11. While the 16GB model will be available at the cost of Rs 22,999, 64GB model needs the wherewithal of Rs 24, 999.